Periodontial diseases (sometimes called gingival or gum disease) are infections that harm the gum and bone that hold teeth in place. When plaque stays on your teeth too long, it forms a hard, harmful covering, called tartar, that brushing doesn’t clean. The longer the plaque and tartar stay on your teeth, the more damage they cause. Your gums may become red, swollen and bleed easily. This is called gingivitis. Knowing how to brush and floss the right way is a big part of good oral health. 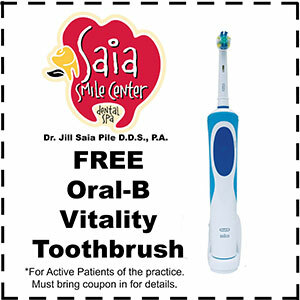 Here’s how: every day gently brush your teeth on all sides with a soft-bristle brush and fluoride toothpaste. Small round motions and short back-and-forth strokes work best. Take the time to brush carefully and gently along the gum line. Lightly brushing your tongue also helps. Along with brushing, clean around your teeth with dental floss to keep your gums healthy. Careful flossing will remove plaque and leftover food that a toothbrush can’t reach. Rinse after you floss.